Your drivers, other road users, members of the public, and even your organisation and its senior management are all exposed to Work-Related Road Risk. This guide explains how to manage the risk and the benefits of managing it well. 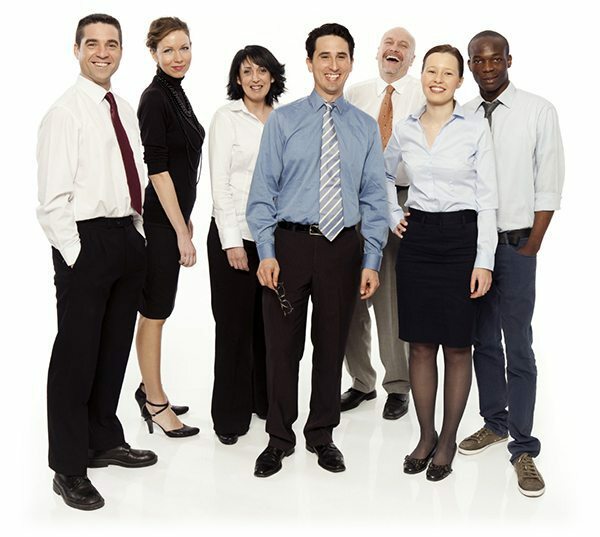 Employers are required to risk assess their business activities and that includes work-related driving. We have a free online assessment tool that shows you where the gaps are, and how to plug them. 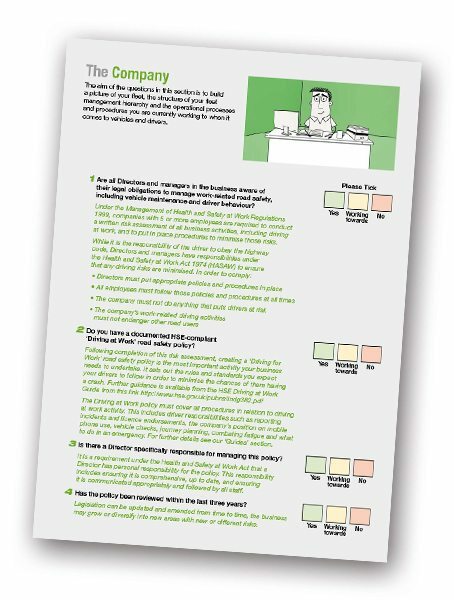 The self-assessment should take 20-30 minutes to complete and gives you a personalised report highlighting your gaps and how you compare to other businesses. The aim of the questions in this section is to build a picture of your fleet, the structure of your fleet management hierarchy, and the operational processes and procedures you are currently working to when it comes to vehicles and drivers. 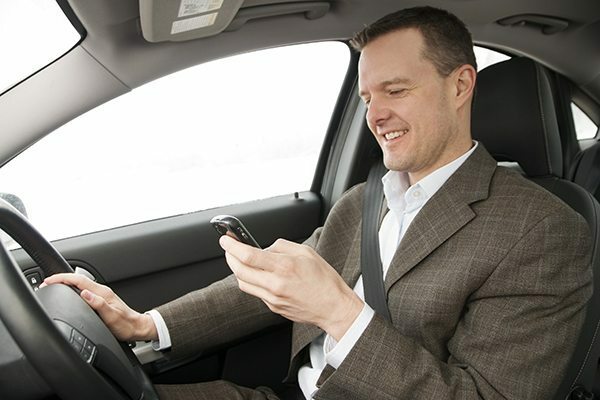 What level of risk are the staff you are placing behind the wheel exposed to? This can be as a result of their own competencies & characteristics, or the activities they undertake as part of their job. 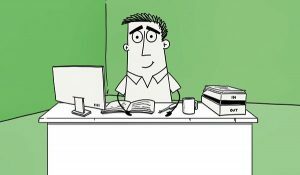 What operational processes and procedures do you have in place to manage your drivers? In this section we will help you examine the systems, processes, culture and hierarchy you have in place when it comes to running safe, legal vehicles. What processes, systems and controls come into effect once the driver is behind the wheel and the vehicle is on the road? Driver fatigue can be a big challenge – we highlight how to address this issue comprehensively. 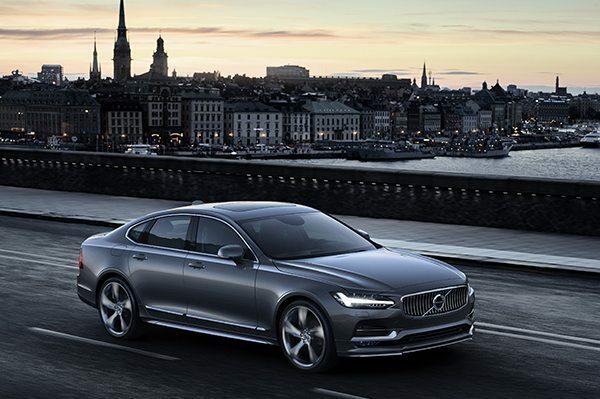 Your Safe Driving Policy must have the full support from the very top of the business. Nominate a senior manager to have specific responsibility for managing work-related road safety and to take ownership of the Driving for Work Policy, which should be reviewed annually and signed and dated by this manager. 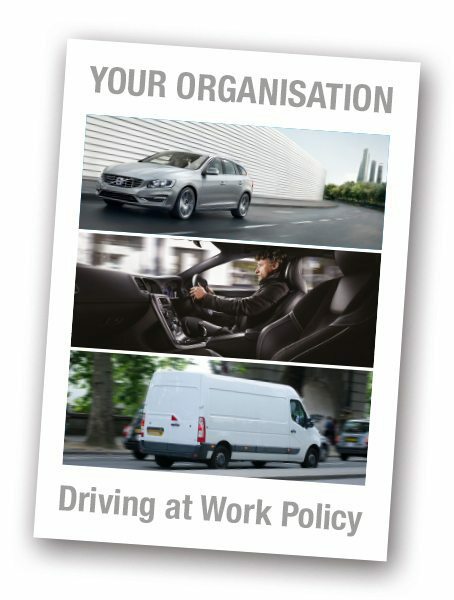 Start with a policy statement explaining that both the company and driver have a legal duty of care to ensure that all business journeys are carried out safely and why they are required to read, and abide by, the policy at all times. Businesses that manage work-related road safety well incorporate their Safe Driving Policy into their existing Health and Safety Policy and discuss related issues at board level. Make sure the business routinely acts in an appropriate way upon any information or data in its possession. This might include risk assessment results, known concerns about specific drivers, vehicles and regular journey routes, telematics data, and incident reports. Ensure that procedures are in place to record and analyse all incidents and learn from them in order to reduce the chances of a recurrence. Ensure employees are properly inducted and periodically assessed to establish whether they legally able, medically fit and competent to drive. Keep accurate records of all drivers and vehicles as well as any communications that go out and any actions taken to reduce risk or in response to incidents. Business drivers are thought to be involved in roughly a third of all collisions. This results in thousands of injuries and millions of bumps and scrapes each year. Including some up to date crash statistics and consequences can be very powerful. The responsibility for safe ‘at work’ driving doesn’t rest solely with the company, the driver must also ensure they act appropriately at all times and always drive within the Highway Code. They must be correctly licenced, informing their employer immediately if they receive any endorsements on their licence or are involved in a collision. Drivers must be able to meet the minimum eyesight requirements and must also inform both the DVLA and their employer if they suffer from any other medical conditions that could impair their driving. Drivers must ensure their vehicle is regularly checked and roadworthy at all times. If using their own car, it must be insured for business use and the driver should be prepared to verify this by providing a copy of their insurance certificate. 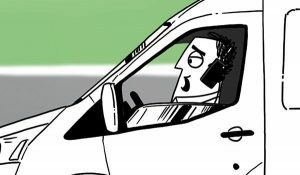 Mobile phone distraction – do you allow drivers to make calls using a hands-free device or do you have a zero-tolerance policy on all calls whilst driving. Alcohol and drug impairment – are your drivers aware of the new drug-drive limits on prescription drugs? Speeding – different types of vehicle have different speed limits and drivers should not be required to speed to meet deadlines. Tiredness and driver fatigue – ensure drivers understand the signs and risks, the need for rest breaks on long journeys, and when they can opt for an overnight stay on particularly long journeys. Journey planning – drivers must ensure they leave in good time and need to plan in adequate rest and fuel stops. They should also take account of the time of day and route characteristics that could cause added risks. Eyesight checks and other health issues – Regular eyesight checks should be recommended and drivers must report any medical issues that may affect their driving. Driving in extreme or adverse weather can bring significant risks so provide additional advice for driving in ice, snow, fog and heavy rain. 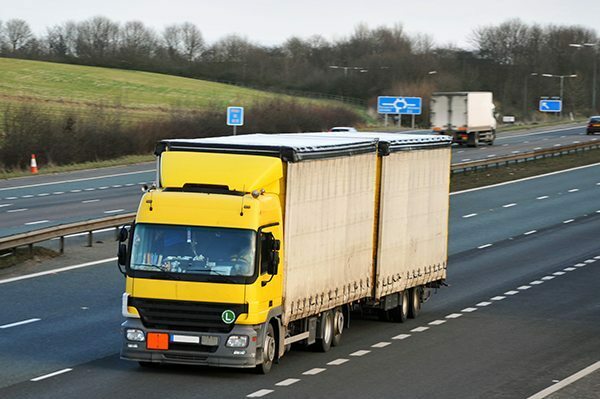 Whilst the company may be often organise and pay for the maintenance and servicing of company vehicles, it is the driver who will be fined and receive penalty points for any faults. 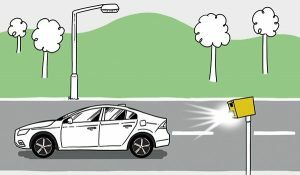 If a fault contributes to a serious crash, the company could be prosecuted but the driver is also likely to be prosecuted. Regular and thorough vehicle checks are therefore essential. As an employer, it is also wise to find a way of recording that these checks have been done. Your organisation will very probably have a vehicle selection policy allowing the driver of a company car to choose from a predetermined list, while those using their own cars will have a much wider choice. It is essential that the driver selects a vehicle that is suitable for the types of journey they will be doing regularly. 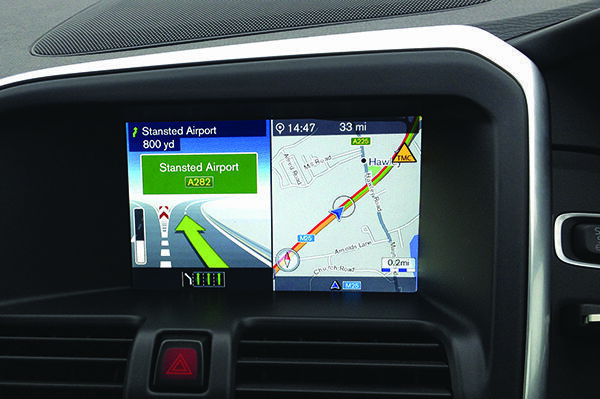 It is also good practice to make drivers aware of the latest safety systems and technology that is now available on modern cars and vans and to encourage drivers to select these vehicles or options wherever possible. 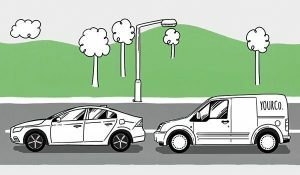 Encourage drivers to check whether each journey is really necessary and encourage other modes of transport or communication wherever possible. The company should ensure that journeys and appropriate rest periods should be scheduled within a realistic timetable. Where journeys are essential, proper planning is essential and it is vital that work scheduling doesn’t mean drivers are encouraged to speed in order to meet them. Make sure you risk assess common journeys made by your drivers, especially if they involve regular delivery runs, frequently congested areas or known problem areas. Adequate limits should be applied to the length of drivers’ working days including both work time and driving/commuting time. Equally as important, a policy should be in place that allows a driver to make an overnight stay at the company’s expense where journey distance or overall working/driving hours exceed a reasonable pre-determined limit. 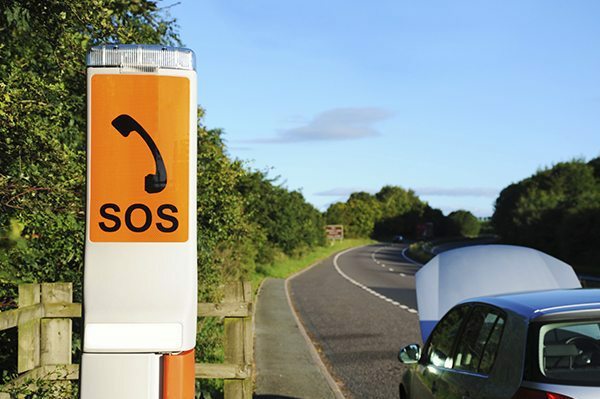 Additionally you should provide guidance to the driver on what to do in unusual circumstances such as if they break down on a rural road or a motorway, and whether they should follow a set procedure in the event they are involved in a crash. Your safe driving policy must be specific to your business so it should also address any issues that may be outside the norm such as specialist vehicles or shift patterns. Some our Business Champions have agreed to share their Driving for Work policies with our community members. If you’re logged in, you’ll be able to download them from within the case studies. How often do your vehicles get damaged? Are there common incidents and why do they happen? Are some drivers of greater concern than others? How much money is it costing your business? If you don’t measure it, you can’t manage it and, importantly, and you can’t improve it! 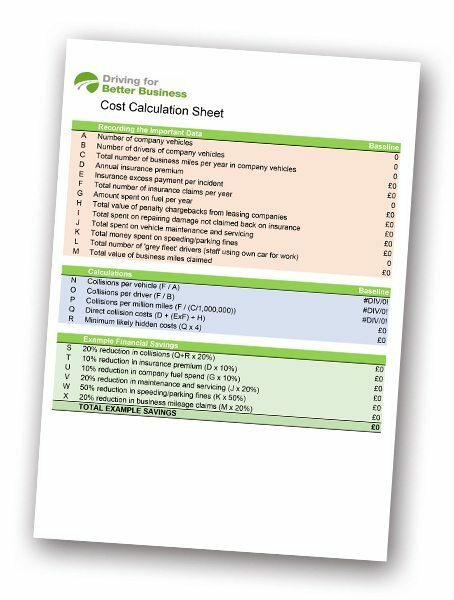 While the metrics on this downloadable sheet are a good place to start, they most certainly aren’t the full range of costs. The obvious costs are easy to calculate such as your total fleet insurance premium, the amount required to cover the excess payments, as well as any penalties your leasing company might impose when vehicles are returned at the end of term. However, the insurance industry calculates that the hidden or uninsured costs to the business are normally between x4 and x32 the cost of repairing the vehicle. The reason we refer to them as hidden is because most organisations don’t track them them or, if they do, they don’t get allocated against the collision. Does your business already do the above? Clients are increasingly looking for confirmation that their suppliers are operating in a manner compliant with current health and safety at work legislation. 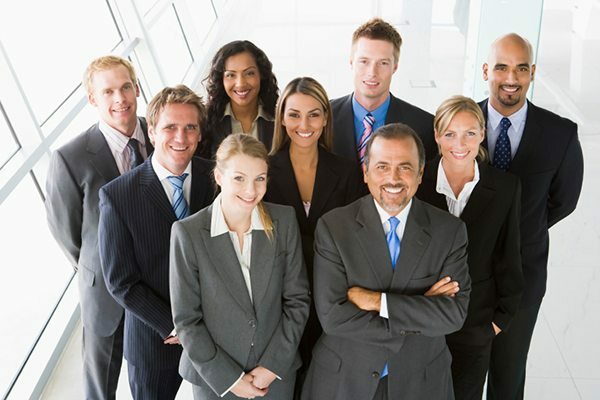 You can easily confirm this to them by making the Driving for Better Business Commitment.